Featured products on Flexicon Europe's stand within the UK-PPMA pavilion (Stand: S1-F27) have been chosen to show the versatility of the company's bulk handling systems. From standalone bulk bag dischargers to more complex integrated solutions through to bulk conveying technology, visitors will get a taste of systems with a proven reputation for simplifying and automating the transfer of powders, flakes and granular type materials from bulk store to downstream food processing operations. Flexicon Bulk Bag Dischargers, often the start of a process, are engineered to allow total free-flow or controlled release (loss-of-weight) of material and are available in numerous frame configurations to accept bulk bags via powered hoist and trolley or fork truck. 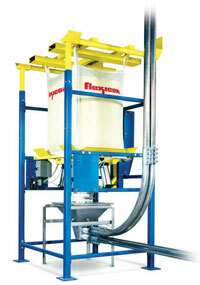 Often the bulk bag discharge will deliver into a hopper fitted with a flexible screw conveyor, and this is also being exhibited by Flexicon at Gulfood. 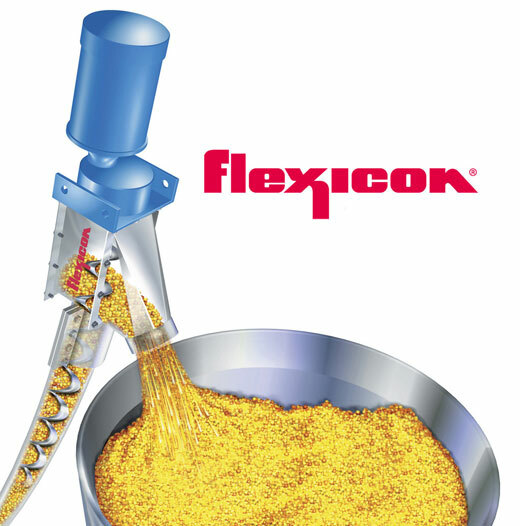 The Flexicon flexible screw conveyor has proven itself time and again as the ideal system for handling everything from fine powders to large flakes and material that is fragile or brittle and prone to break or crumb, is cohesive, has a tendency to cake, smear or fluidize. Visitors to the stand at the UK-PPMA pavilion will gain an insight into the relatively simple conveyor design backed by specialist engineering know-how that can dramatically increase plant productivity for relativity low capital investment and low operating cost. These two products are just part of a comprehensive range of bulk handling systems available from Flexicon Europe that are designed to simplify and transform the movement of powders, cereals and flakes.